As crazy random happenstances occur, this July saw more people taking time for vacationing, being ill and attending conferences in any single month than we’d had before, excluding DrupalCon months of course. That said, we still managed to squeeze in some good contributions. Dan Polant’s work on the JSON API module was called out by the maintainer, so kudos to him for continuing a Contrib First mantra. Chris Runo has been compiling a number of improvements for the Paragraphs module for a particular client and finally uploaded an initial patch for the integration he built for migrating Drupal 7 Field Collections. Hopefully the other improvements will be made available soon. Kevin Basarab has been mentoring one of our clients on contributing some of their improvements to the Paragraphs module and the Adminimal admin theme. Melissa Bent provided a patch that allows changing the output of Search API Pages or nesting it inside of another display. Stephen Lucero rerolled a number of patches for the Marketo MA module. I uploaded some prototype code for the SAML Auth module for redirecting anonymous visitors to the authentication point. Jason Want had some ideas about coordinating cross-project contributions, so we’ve started working on this. Mark Shropshire worked with other collaborators to get a new release of his Guardr security-focused distribution out for Dupal 7, and gave an OSS-focused presentation at his local user group (CharDUG). 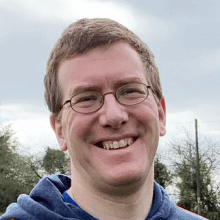 Stephen has been pushing ahead with his YAML Content module and has been getting interest from others in collaborating to make it and similar modules better. I uploaded a patch for Context Bean to fix compatibility with the current Bean module, collaborated on a fix for a problem with the Draggable Views module’s sorter, and released Metatag 7.x-1.22 and Metatag 8.x-1.2. Matt Davis provided an introduction to the new Contenta distribution, which is based on an API-first philosophy and works with an AngularJS-based frontend. Stephen gave an intro on his YAML Content module and then showed how to use it to create and manage content. Mark Casias was joined by Justin Rent to give a Friday5 discussion about the Design 4 Drupal conference, and then April Sides gave five reasons why you should attend a DrupalCamp. The DropCast crew were back again, this time to discuss DrupalCon Baltimore. Chris dove deep into migrations on Drupal 8 and showed how to make it work better. Mario Hernandez gave a detailed explanation of the theme generator that was built by some of our staff to make creating custom themes easier. Bill provided another comparison of Drupal to another CMS, this time it was Sitecore’s turn (part 1, part 2). I wrote up some notes about the SEO and internationalization-focused sessions and BOFs I attended at DrupalCon Baltimore. The DrupalCamp Asheville conference is always a good one, and this year was no exception. Mediacurrent’s staff were amongst the organizers and presenters, and thanks to some amazing people all of the presentations are available to watch from your sofa. One of the shining lights of the north-eastern US Drupal conventions, Drupal GovCon, kicked off their 2017 event at the end of the month. I’ll have more details next month along with links to some presentations from our team mates. So, a slightly slow month but we still managed to find time to share some things with you all. Hope you continue to have a great summer, or winter for those in the south. Until next time, take care.